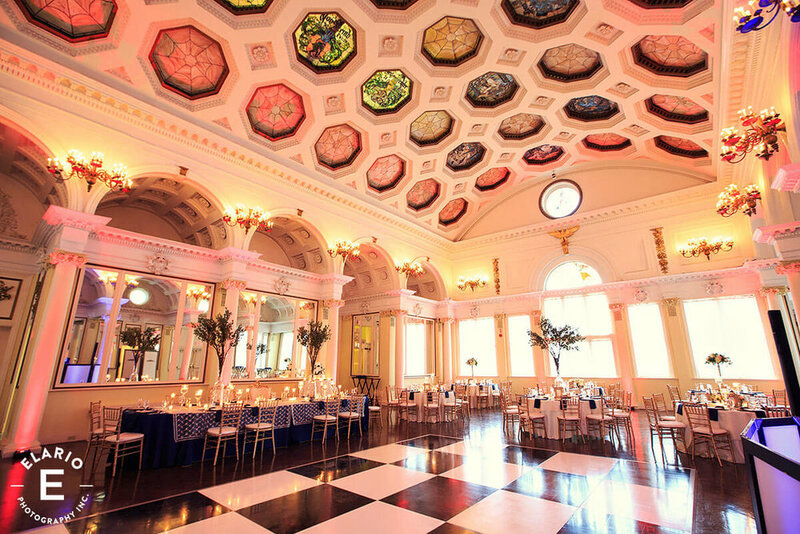 One of our favorite venues to work with in Saratoga Springs is the historic Canfield Casino located in Congress Park. Built in the late 1800s, the Canfield Casino is the only building left from the resort era and was originally called the Saratoga Clubhouse. The casino was an exclusive destination for wealthy tourist and famous gamblers until all gambling was banned in Saratoga Springs in 1907. 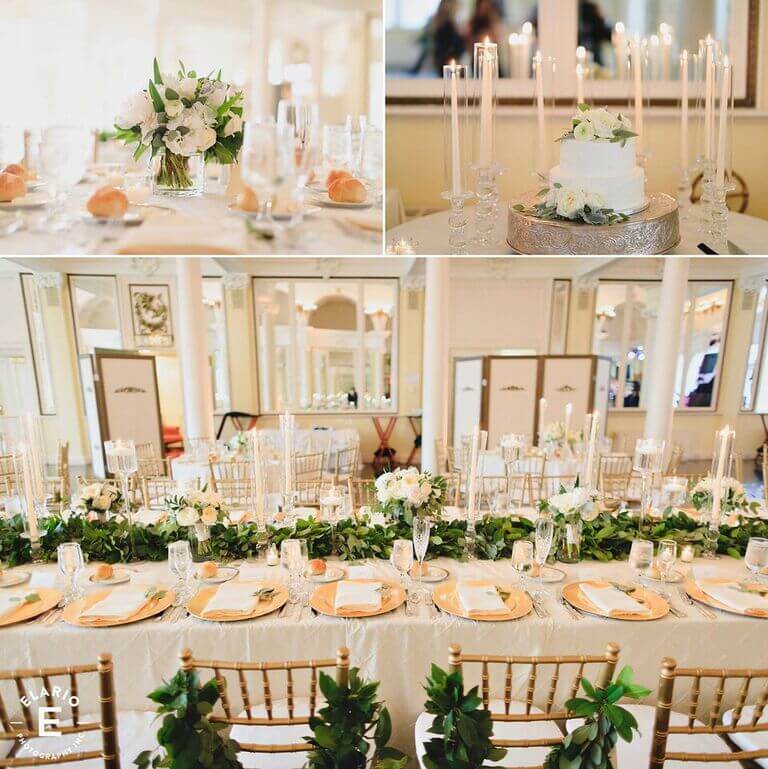 Presently the Canfield Casino is owned and operated by the City of Saratoga Springs and houses the Saratoga Springs History museum in addition to being one of the premiere wedding and event venues in the area. One of the most memorable architectural features of the Canfield Casino is the unique stained glass on the ballroom’s ceiling. This beautiful and dramatic feature intensifies the beauty of whatever decor you choose. And by whatever decor you choose we mean it really does complement every style! 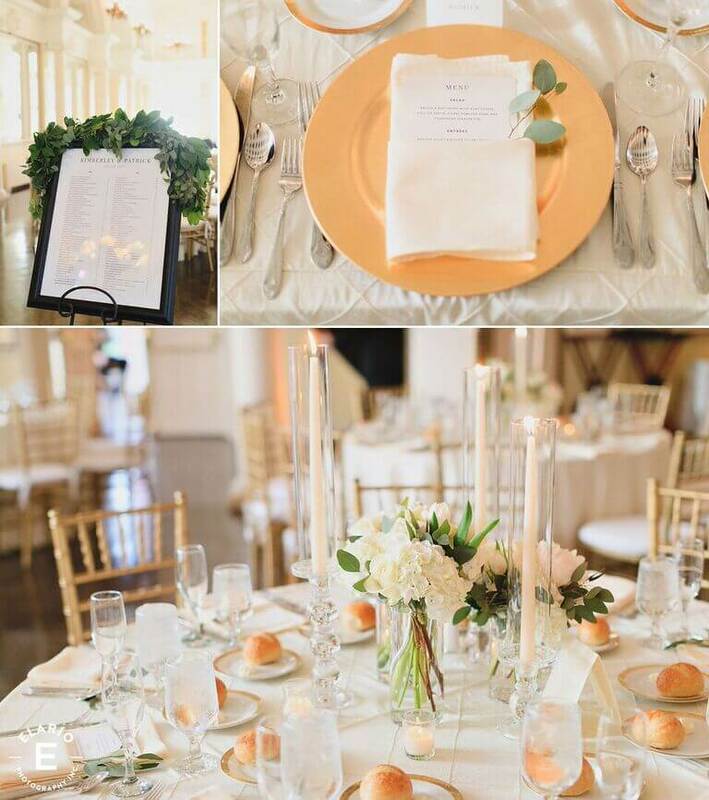 The neutral color scheme inside the Canfield allows for the ballroom to be transformed to reflect the theme and color scheme of your choosing. As with many of the historic buildings in Saratoga Springs our goal is to enhance the beauty of the space without taking away from the historic charm and character. At the Canfield, we often use our chiffon drapery to create designated spaces, such as creating an entrance to the bar. Brides also often choose to feature our black and white dance floor which beautifully complements the stained glass ceiling. The Canfield Casino is completely transformed with different uplighting option, which we will coordinate perfectly with the color scheme of your event. 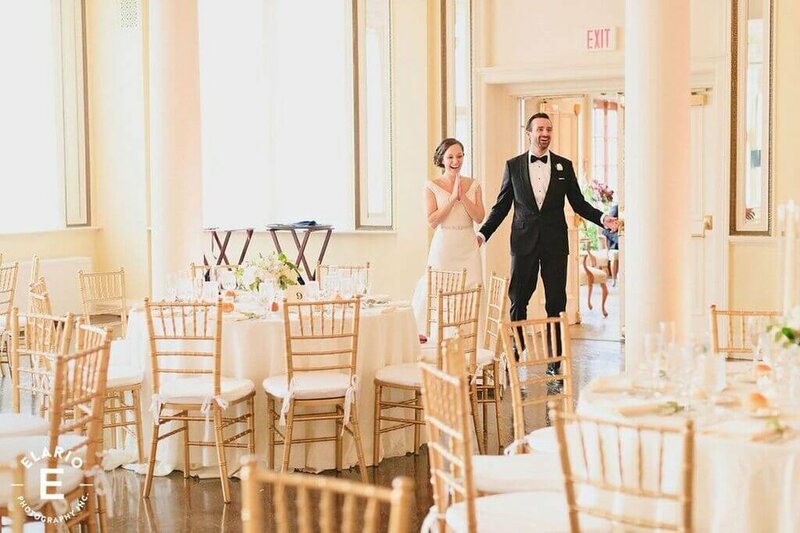 In addition to the ballroom’s chameleon like qualities, the Canfield Casino offers beautiful ceremony spaces both indoors and on the grounds of the historic Congress Park. 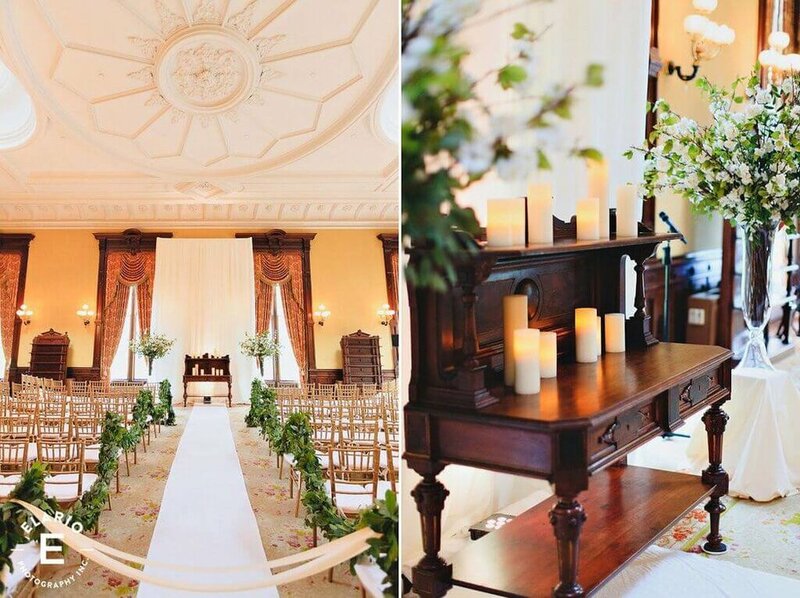 To create a unique ceremony area we offer elegant ceremony arches to complement the exquisite parlor or picturesque views in Congress Park.